The first thing I have to say is that I honestly never thought I could possibly get addicted to a game that involves nothing more than shooting bubbles in order to pop them. That was, of course, before I discovered the dangerously addictive bubble shooter game. I first discovered the original bubble shooter game when I was writing a niche analysis on the gaming industry. At one of the free online game sites, I was curious, so I tried a few – and one of those was the bubble shooter game. I was hooked every since. Today I’m going to cover the top 5 offshoots of the original Bubble Shooter game. Apparently, I wasn’t the only one that quickly became addicted to the game. Online game developers went on to produce numerous offshoots of the original game. We’ve covered a lot about bubbles lately here at MakeUseOf. Karl showed you how to create bubble letters How To Create Cool Bubble Letters For Your Site Logo How To Create Cool Bubble Letters For Your Site Logo Read More and he also showed you how to make bubble words, but today I’m going to show you a whole other use for bubbles – popping them! On any of the websites dedicated to bubble shooter games, you’ll find an honorary status for the original game that started it all. However, if you want to play the original, you should really go to the website of the game creators over at Bshooter. There, you’ll find both a free online version and a free download version of the famous, classic bubble shooter game. The goal of the game is deceivingly simple. Just shoot the bubble alongside three or more similar touching bubbles of the same color and voila – they all pop and disappear. Manage to pop enough bubbles so that you cut off an entire section – and all of the bubbles underneath will pop as well. What’s the catch? Well, as you play the entire field of bubbles drips closer to the bottom, shrinking your available playing space (unless you can keep up). To say that this game is addictive just doesn’t describe how completely this game will erase several hours of your life and you won’t even notice. Shields of Gemland is a game offered by King.com, which puts a whole new twist on the bubble shooter genre. Instead of just an action-based arcade game, the makers of Shields of Gemland attempted to add a little bit of a plot to this particular game. By advancing through each level, you collect another gem and advance through the map to the next point in the game. This game is really fast paced and fun. The cannon has a cool little recoil action going on, and as you advance through the levels, different objects start falling that can either hurt you or help you. There are also shielded bubbles that you can’t pop – the only way to get rid of those is to pop the bubbles above it. This bubble shooter takes a bit more strategy and planning. The graphics are great, the sound effects are fun, and there something really funny about the expressions on these little guy’s faces as you aim and shoot other Woobies at the crowd. Clear the entire field before the huge press pushes all of the Woobies into the ground, and you’ll advance to the next level (where there are even more colored Woobies to deal with). Another very popular bubble shooter game is one called Jungle Shooter. Jungle Shooter is one of those games that you can tell is well programmed. The graphics are superior to most online games, the gameplay is fluid and fast-paced, and the music and sound effects really make the game a blast to play. As the jungle boy aims the cannon, the jungle girl holds the next fruit that will be loaded so that you can see what’s coming next. Like Shields of Gemland, this game provides a navigation screen that you work through as you advance in level with your sharpshooting skills. As you collect more fruit and advance through the levels, more of these locations are unlocked for you to explore and advance even further. This game is great fun, and a wonderful time-waster! Yet another great game based at least subtly on the original bubble shooter game is an addictive game called Bubble Struggle. This game is a bit different because you don’t start off with a ceiling filled with bubbles. Instead, you start out with one or two large bubbles (at least in the early levels), and then as you shoot them, they divide into smaller bouncing bubbles. Once you split all of them into the smallest sizes, then you can pop them with one more hit. As the bubbles bounce around, you not only have to worry about timing your shot right in order to hit them, but you also have to dodge the bounce. If any of the bouncing bubbles hit you, you’ll hear a “smack!” sound, and your character will go flying to the ground. These are only a few examples of my favorite bubble shooter games, but there are a lot of additional ones out there. 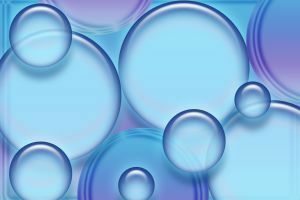 Some are better than others, but one thing is for certain – bubble shooting games have become one of the most popular online pastimes in the world. So why don’t you give it a shot? Do you know of any other fun shooter games like these? Share your input in the comments section below. Explore more about: First Person Shooter, Online Games. If you like bubble shooter games, 'Jungle Tree Bubble Shooter' is a must-have as part of your bubble games assemblage. Puzzling stages, Jungle scene with the spirited monkey and hundreds of levels make it a special bubble shooter game. It’s free (Free with in-app purchases) to download on Google Play and App store. But my favorite is Jungle Tree Bubble Shooter. Simple and easy to clear all stages not difficult like other battery-eater games. Oh, no! Don't forget Bubble Spinner. This is my fav of all bubble shooter games. Nice,good compilation. I always play Jungle Shooter just to relax for some time and it is kind of addictive! I remember playing one of those, not sure which version though, maaan it's addictive. I love Frozen Bubble on Linux! It's kind of silly, but sometimes you need these little diversions throughout the day. I think Dynomite by PopCap Games is the game. Bubble Struggle was based off of Bubble Trouble, and, as far as I know, has nothing to do with Bubble Shooter. Thanks Alex - that's why I wrote that it's "subtly" based on it, but I still wanted to include it as it is a "bubble shooter" game!